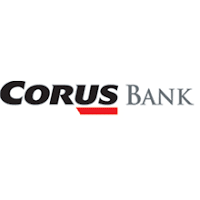 U.S. regulators seized Corus Bank on Friday in the fourth-largest bank failure this year and sold its deposits to MB Financial Bank (MBFI.O). Long controlled by the Glickman family, Chicago-based Corus Bank crumbled under the pressure of bad loans on commercial real estate and condominium developments in Arizona, southern California, southern Florida and Nevada. The seizure of Corus and the failure of two smaller banks announced on Friday brought to 92 the number of shuttered banks in 2009. Left behind in the wake of Corus Bank were 11 retail branches in the Chicago area, which are expected to reopen on their next business day as branches of MB Financial bank. Depositors of Corus Bank will automatically become depositors of MB Financial. The Federal Deposit Insurance Corp said MB will assume all of the deposits of Corus Bank and about $3 billion of its assets, leaving about $4 billion in other assets that the agency hopes to later sell in a private placement. Corus, the depository bank unit of Corus Bankshares Inc (CORS.O), had $7 billion in assets and about $7 billion in deposits as of June 30, the FDIC said. The agency had spent weeks running separate sales of the deposits and other assets of Corus Bank, a lender specializing in condominium, office, hotel and apartment projects. Sources familiar with the matter said on Friday that the FDIC has extended the bid deadline for the assets by a couple of weeks to September 22. The FDIC said in its statement that it plans to complete the sale in the next 30 days. Real estate developer Stephen Ross has received preliminary approval to start a bank, while his firm, Related Companies, is separately eyeing the assets of Corus Bank, the sources said. Related has teamed with several partners including real estate investment firm Lubert-Adler Partners to bid on Corus Bank's assets, while private equity firm Lone Star Funds and real estate investment firm Colony Capital LLC are also considering bids, the sources said. Barry Sternlicht's Starwood Capital Group is also considering a bid for the assets, the Wall Street Journal reported. The FDIC, Related, Colony, Starwood and Lone Star declined to comment on the auction for the assets. The sources asked not to be named because the talks are private. With only 11 branches, Corus's depository bank unit was considered to have little franchise value. The FDIC said the closing of Corus will cost its insurance fund about $1.7 billion. As Corus spiraled downward, in April, Chief Executive and President Robert Glickman resigned along with Joseph Glickman, the bank's chairman. The Glickmans in August were continuing to sell off their stakes in the bank, according to regulatory filings. A dramatic increase in failures of banks -- which are still grappling with deteriorating loans, many tied to commercial real estate -- has put pressure on the agency's insurance fund that safeguards bank deposits. The insurance fund's balance dipped to $10.4 billion at the end of the second quarter, but that level does not include the additional $32 billion that the FDIC has set aside to cover the cost of bank failures over the next year. Also on Friday, state officials closed Brickwell Community Bank in Woodbury, Minnesota and Venture Bank in Lacy, Washington. Venture Bank, which will be taken over by First-Citizens Bank & Trust Company of Raleigh, North Carolina, had total assets of $970 million and total deposits of approximately $903 million in July, the FDIC said. Brickwell Community Bank, which has just one branch, will be taken over by CorTrust Bank. As of July 2009, Brickwell had total assets of $72 million and total deposits of approximately $63 million, the FDIC said.